Amino acid therapy is the science of determining the specific blend of amino acids a person needs to restore proper neurotransmitter function to their system. These amino acids often require a number of other nutrients, called cofactors, to help convert them into their respective neurotransmitters. There are several products available that supply varying amounts of amino acids, either with or without the cofactors. Two of the formulas we have found most useful, especially as we begin using amino acid therapy are NeuroReplete and D5. NeuroReplete is a combination of 5-HTP and L-tyrosine along with the cofactors necessary to convert these amino acids into serotonin and dopamine, respectively. It contains all these nutrients in the right ratio to help optimize “group outcomes”. What this means is that NeuroReplete contains the ratio of amino acids and cofactors that most people need to begin rebalancing their neurotransmitter levels. Therefore, NeuroReplete provides a great place to start for most people. If NeuroReplete does not supply all the necessary amino acids and/or cofactors a person needs, we can build upon the foundation that NeuroReplete provides in order to customize a formula that will work for any person. D5 contains all the amino acids and cofactors found in NeuroReplete with the addition of a standardized extract of mucuna pruriens. Mucuna pruriens is a natural source of L-dopa, which is readily converted into dopamine in the body. D5 is indicated if a person has a dopamine dominant neurotransmitter-based disorder. 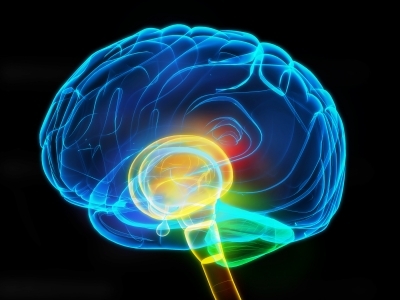 Dopamine dominant disorders include Parkinson’s disease and restless legs syndrome; in addition, a small percentage of people with other disorders, including anxiety, OCD, eating disorders and addiction can also exhibit dopamine dominance. NeuroReplete and D5 provide a good starting point for amino acid therapy. They provide most of what the body needs in the convenience of one formula. Should additional adjustments need to be made, other products can simply be added to these formulas to adjust each person’s amino acid therapy to suite their unique needs. Thanks for the comment/question. We have found amino acid therapy very helpful with opiate discontinuation/withdrawal. Working with a provider that is well-versed in the therapeutic use of amino acid therapy is vital to your success, so I suggest you contact NeuroResearch to find an experienced provider to work with you: http://www.neurosupport.com. my son was diagnosed with schizophrenia over two years ago. he’s 21 now. Doctors just keep giving him so many medications that ultimately keep him in a sombie state and always asleep. During my research I found out that you guys can help me develop a special blend of amino acids, etc to aleviate his symptoms. Getting the balance right can certainly be difficult/daunting. I suggest you begin by contacting NeuroResearch to see if there is a provider near you that can assist you: http://www.neurosupport.com. 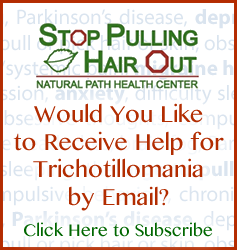 If not, give us a call and get on our waiting list: http://naturalpathhealthcenter.com/contact-us/. Hi Liam – thanks for the comment; amino acid therapy certainly sounds like it may be helpful. 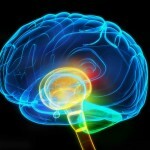 I suggest you contact NeuroResearch to find a provider near you: http://www.neurosupport.com. I would like to get some of the neuroreplete d5 formula. I really am going to need it. Thank you have a great day. Hi Brad – you can find the product here: http://naturalsolutionsforahealthyyou.com/store/amino-acid-therapy-products/.